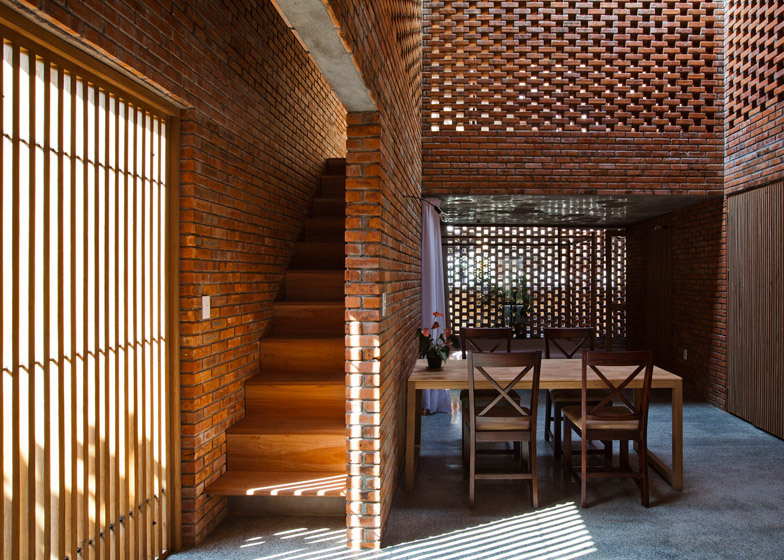 Perforated brick walls enclose the concrete structure of an old house in central Vietnam, which has been remodelled by architecture studio Tropical Space (+ slideshow). 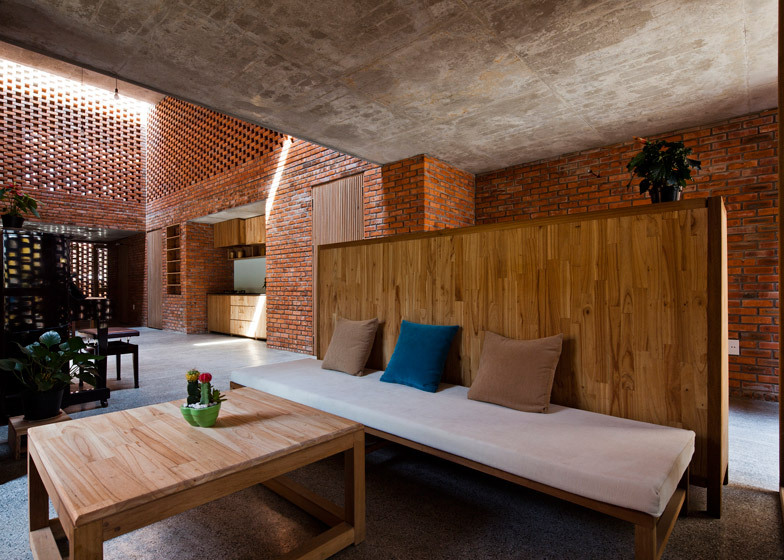 Vietnamese architects Tropical Space refurbished an old two-storey house occupied by a family of three in Da Nang, a coastal city in Vietnam. 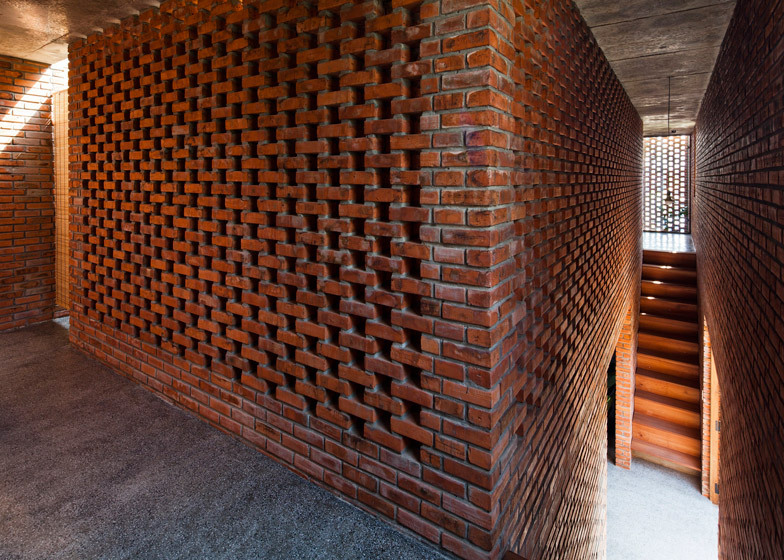 According to the architects, the orange-red bricks reference the baked-brick towers built on sacred sites in the region during the Champa Kingdom between the 4th and 15th centuries, while the plan – with a living space protected in its centre – was inspired by the earthen chambers of termite nests. 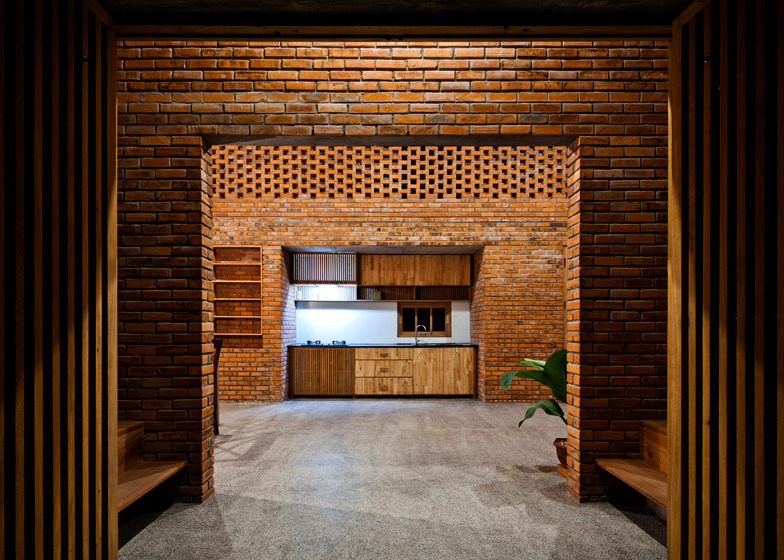 "The special design of the baked-brick walls with a lot of holes, together with the large inter-floor space, allows breeze and light to get to all the corners of the house, even the hardest-to-access areas," explained the architects. This arrangement is designed to deal with the fluctuating climate of the area, which varies between two extremes – a dry hot season and a rainy season with several tropical storms each year. 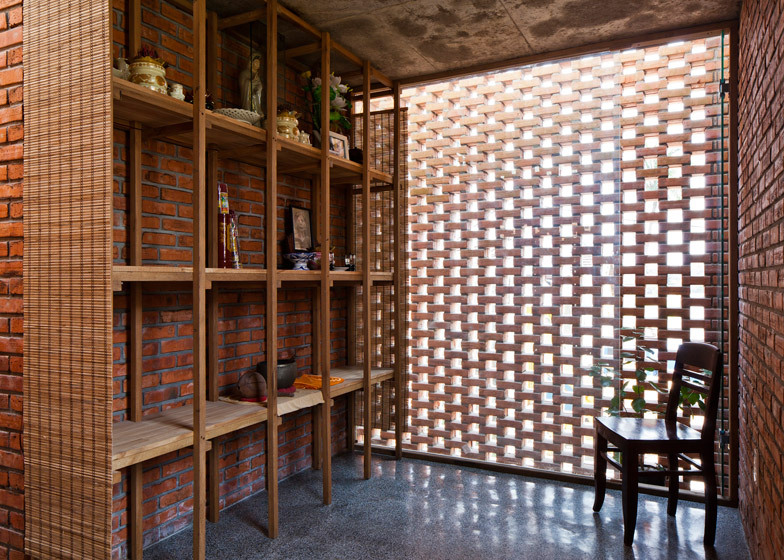 Glazing set behind the perforated walls creates a double skin that protects against wind and rain, and also makes space for two slim gravelled patios at the front and back of the house that help control ventilation. 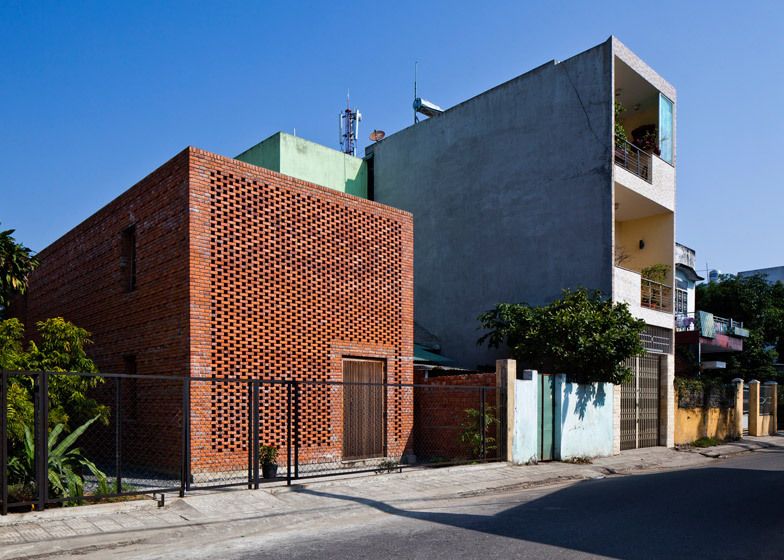 The two side walls that face neighbouring properties, are made using solid block-work. 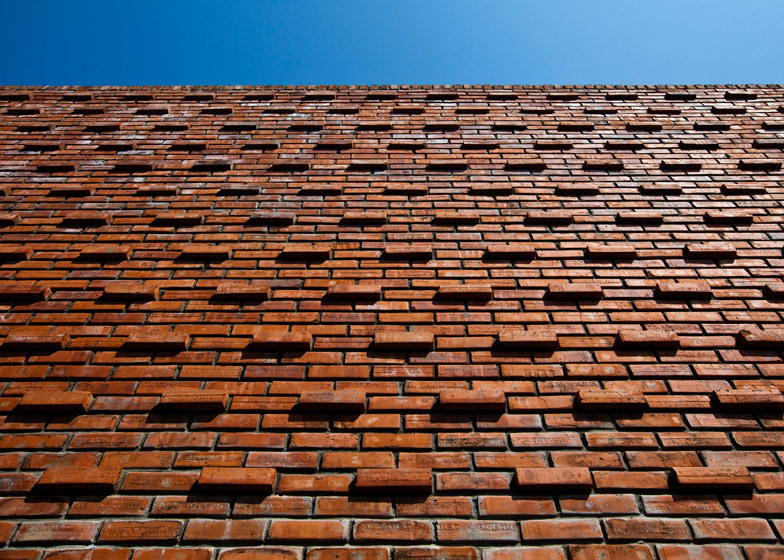 Individual bricks sit proud from the facade, creating a pattern that references the street- and garden-facing aspects. 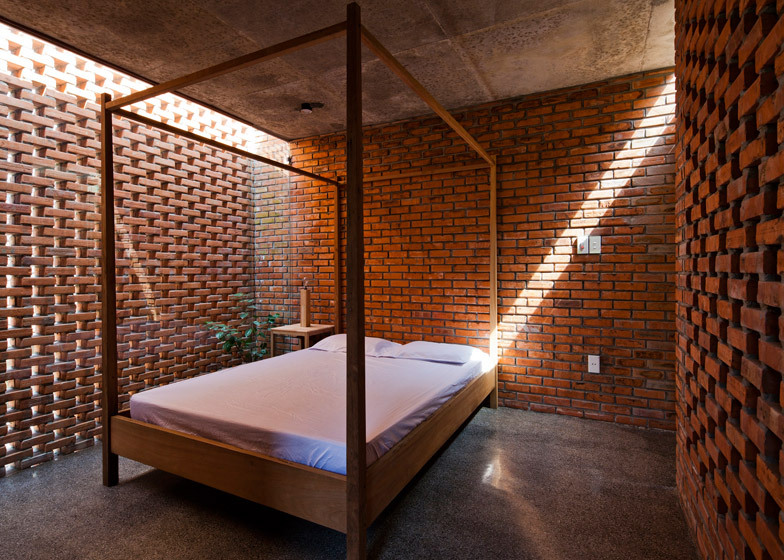 Artificial light shines through the brickwork of the front and rear facades at night time, while during the day natural light shines through to cast patterned shadows across the interior walls. "In the evening and at night, the house looks like a giant lantern with lights here and there from the holes," said the architects. Inside, concrete ceilings are left exposed and the floors covered in grey terrazzo – a composite material with a flecked appearance. An open-plan living and dining area sits in the centre of the space. The master bedroom, two bathrooms, storage areas and staircases branch off this central area and sit against the walls of the building, acting as a buffer for the worst of the weather. 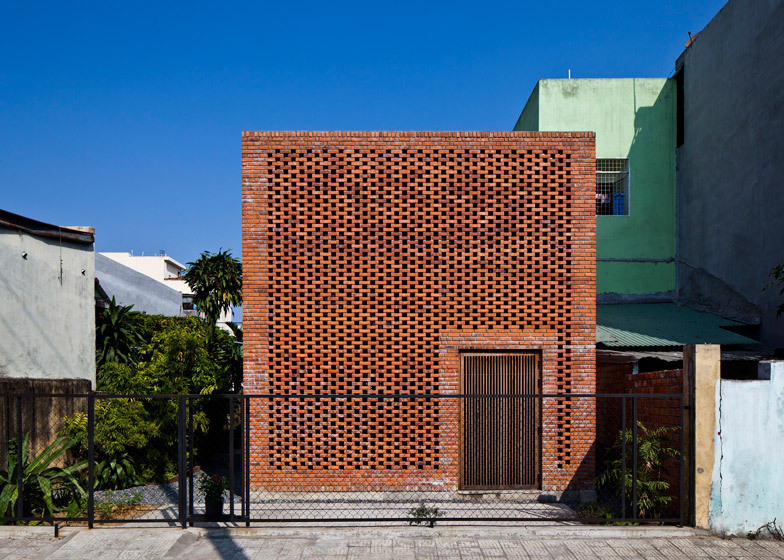 A combination of solid and perforated block-work provides different levels of privacy for each space. 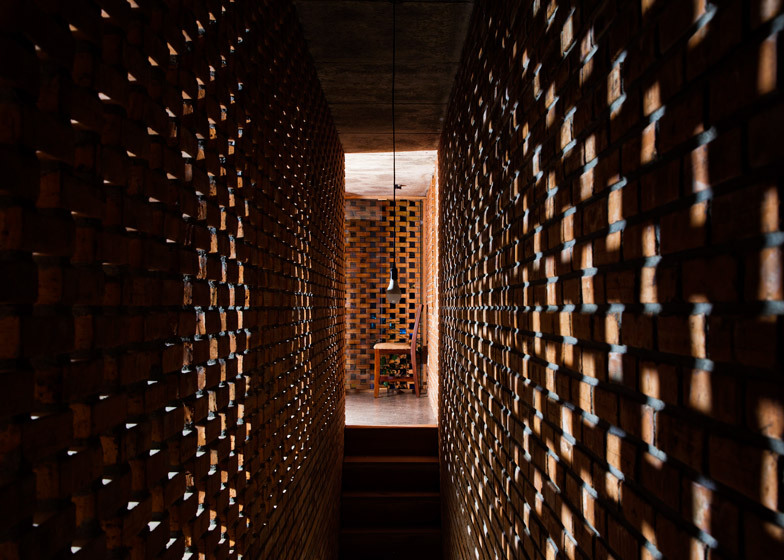 "In the shared areas of the house, the family members can still see and chat to each other through the walls with holes arranged as randomly, but scientifically, as in an actual termitary," said the architects. Long skylights channel daylight into the centre of the building, and give each room views of the sky and a leafy garden that occupies the building's flat roof. Upstairs, a further bedroom with ensuite bathroom, an altar room for prayer and a library sit around the edges of a large atrium overlooking the living space. 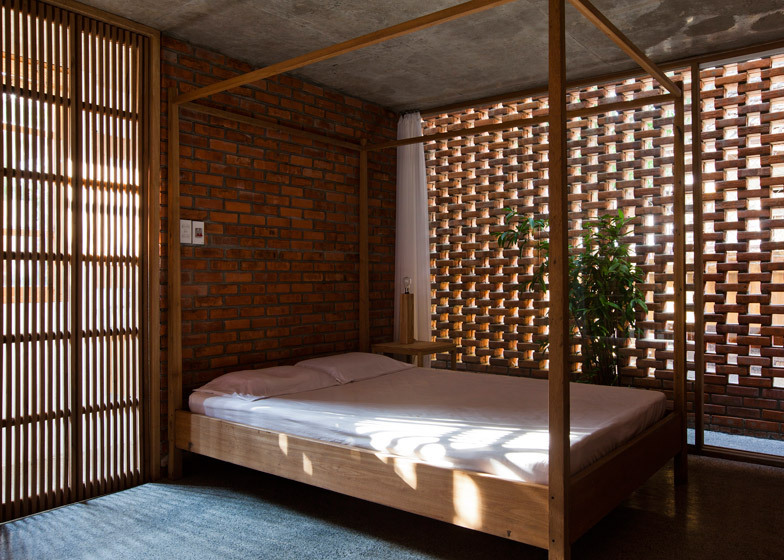 Wooden furniture – including a four-poster bed, shelving and seating – are made from left over timber from the roof of the original house. 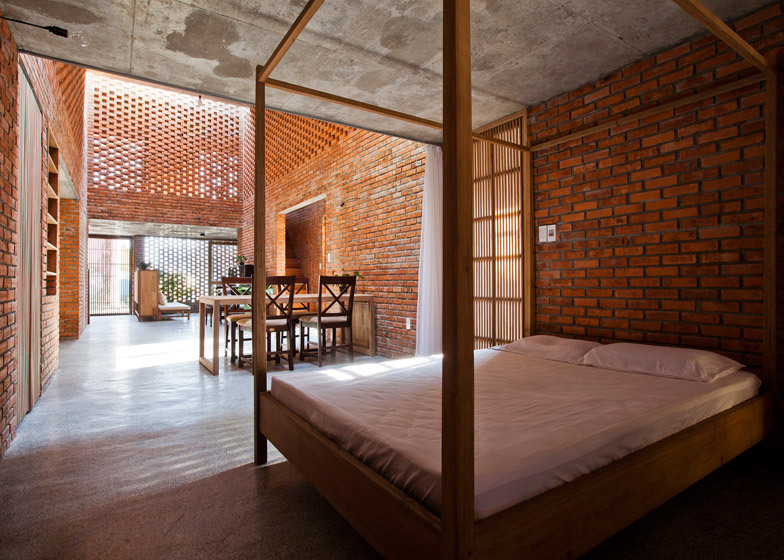 The architects said this contributed to a significant saving of around $27,000 USD (£17, 710). Plants taken from the original gardens are integrated into the gravelled landscaping around the property to "retain some familiar features for the owners."